The Cayman Islands (Cayman) are home to a well-established and ever-growing domicile for private equity funds. This can be seen in the statistics issued by the Cayman Islands Registrar of Partnerships. While a Cayman private equity fund can be established as a company, or indeed a trust, the overwhelming majority of Cayman private equity funds are set up as partnerships to mirror the preferred domestic vehicle of choice, in particular, by US managers and sponsors. Specifically, for reasons that are set out later, private equity funds are typically established as exempted limited partnerships (ELPs) in Cayman.2 At the end of 2017, there was a total of 22,346 ELPs registered in Cayman. This is more than triple the 2006 number of 6,468. The years since the 2008 financial crisis have seen impressive numbers of annual partnership registrations. In 2017 the figure stood at 3,872 compared with 3,356 in 2016, 3,377 in 2015, 2,893 in 2014, 2,368 in 2013, 2,037 in 2012, 1,897 in 2011 and 1,543 in 2010. The reason Cayman has such a well-developed market for private equity funds is a result of its ability to complement onshore fund structures, specifically Delaware partnerships. While founded on Cayman common law principles, which in turn are derived from English law, the Cayman Islands Exempted Limited Partnership Law (first enacted in 1991) was drafted to provide symmetry with the corresponding Delaware statute. It has subsequently been amended, but always with a view to dovetailing with the US market. This policy was, and is, simple in design: it was intended, within the confines of Cayman law, to enable a manager’s offshore fund to operate and be governed consistently with its domestic offering. Add to this the fact that while English law is technically not binding on a Cayman court, it is persuasive to it; the Cayman legal environment is at once both familiar and robust. Following a detailed consultation, the law received a comprehensive review and overhaul in 2014 resulting in a new statute, the Exempted Limited Partnership Law 2014 (the ELP Law). The ELP Law did not make fundamental alterations to the nature, formation or operation of ELPs, but was intended to promote freedom of contract and simplify transactions undertaken by ELPs. The statute is not, of course, the only reason for Cayman’s success. The country provides a tax-neutral environment for fundraising, as under current Cayman law, provided its business is undertaken outside Cayman, no taxes or duties, either directly or by way of withholding, will be levied in Cayman on the trading activities or results of a Cayman-domiciled private equity fund. The combination of practical laws and low fiscal costs has secured the country’s status as a popular and flexible domicile. If Cayman does not make the market trends, it certainly mirrors them. The lead-in time for deals appears to be currently increasing and, in some cases, lasts for many months. Increased investor expectation for transparency is reflected in a higher prevalence of side letters along with requests for valid and binding legal opinions – previously it was unusual to issue an enforceability opinion with respect to a side letter; now 20 or 30 opinions might be issued on a single closing. Successful managers are still able to raise significant funds using Cayman structures. Even allowing for the fact that not every Cayman ELP is formed to serve as the investment vehicle for a private equity fund, transactions in the jurisdiction in 2017 remained robust, spanning a wide range of investment strategies and geographic focus. None of these requirements apply to an ELP, as there is no equivalent of the corporate maintenance of capital doctrine under Cayman partnership law. This is because the general partner (GP) of an ELP has unlimited liability for all the debts and obligations of the partnership to the extent that its assets are inadequate.4 Conversely, the limited partners (LPs), as the name implies, are not so liable (subject to two important exceptions noted below).5 This gives investors – the LPs in a Cayman private equity fund formed as an ELP – the best of both worlds: limited liability, but with an almost unfettered ability to receive a return of capital in any situation subject only to the terms of the LPA underpinning the ELP. This is because this is usually sufficient to enable an LP to participate in an advisory committee of the partnership without concern that it could lose limited liability. This is a potential area for tension for an LP who wants to exert control over a GP, and therefore by extension the ELP itself. We advise that the golden rule for an ‘active passive’ LP is first, only to participate internally within the partnership, and dealing only with other partners and never with third parties; and second, to have those internal controls expressly documented in the LPA so as far as possible to come within the letter of the safe harbour set out above. Specific Cayman disclosures that might be expected, in addition to the investment narrative, terms and risk factors, include the legal form (and especially that the fund, if an ELP, does not have separate legal personality) and the exceptions to limited liability described above. Also typically included would be a statement with respect to tax treatment, transmission of investor information under regulatory laws (see Section III, infra) and a statement that the ELP is only authorised to carry on business outside the Cayman Islands. This latter point is significant to the parameters for the solicitation of investors in Cayman. As noted above, closed-ended Cayman private equity funds are generally not required to register with CIMA. Care needs to be taken when drafting withdrawal provisions for an investor for regulatory reasons in an otherwise closed-ended fund, for example, where an LP wishes to exit for ERISA16 purposes. This is because the Mutual Funds Law does not exempt voluntary withdrawal in any circumstance. In practice, this is dealt with by turning the withdrawal ‘entitlement’ from one of right in the hands of the investor into one of compulsion in the hands of the GP. An investment manager or sponsor domiciled or registered in Cayman as a foreign company, and carrying on investment management or advice, will be subject to Cayman’s Securities Investment Business Law (2015 Revision) (SIBL). This requires that a manager or adviser either be licensed by CIMA or register with CIMA as an excluded person. Registration as an excluded person does not imply regulation by CIMA, and such registration is possible where the person to whom the services are provided (i.e., the private equity fund itself) is either a sophisticated person within the definitions set out in the SIBL, or is a high net worth person (HNW). As most private equity funds are institutional, the latter test is usually relied upon as this sets the threshold for HNWs at US$5 million in total (as opposed to net) assets.17 The typical Cayman Islands private equity fund will easily reach this benchmark. Registration as an excluded person is achieved by filing a form on an annual basis that gives certain prescribed details with respect to the manager and payment of a fee of approximately US$6,000. Registration under the SIBL will also bring the manager within the scope of Cayman’s robust and detailed anti-money laundering regime, and the manager will need to meet the client identification and reporting requirements prescribed by the Anti-Money Laundering Regulations 2017. The private equity fund itself will also be subject to certain reporting requirements: if any person resident in Cayman knows or suspects, or has reasonable grounds for knowing or suspecting, that another person is engaged in criminal conduct or money laundering, or is involved with terrorism or terrorist financing or property, and the information for that knowledge or suspicion came to his or her attention in the course of business in the regulated sector, or other trade, profession, business or employment, the person will be required to report such knowledge or suspicion to the Financial Reporting Authority of the Cayman Islands, pursuant to the Proceeds of Crime Law (2017 Revision) of the Cayman Islands, if the disclosure relates to criminal conduct or money laundering, or a police officer of the rank of constable or higher; or the Financial Reporting Authority, pursuant to the Terrorism Law (2017 Revision) of the Cayman Islands, if the disclosure relates to involvement with terrorism or terrorist financing and property. Such a report shall not be treated as a breach of confidence or of any restriction upon the disclosure of information imposed by any enactment or otherwise. Again in 2014, Cayman introduced for the first time the Contracts (Rights of Third Parties) Law, a brand new law that confers on third parties, via an opt-in requirement, a right of enforcement even if they are not a party to an agreement if the actual contracting parties intend to give that right. In the context of an LPA, this means that third-party rights under an indemnity provision, for example, can be enforced by that third party even though it is not a signatory to the LPA. While a detailed analysis of the Directive is beyond the scope of this chapter, marketing activities may be exempted temporarily under transitional rules, or permanently if reverse solicitation rules apply, the fund has a single investor only or if the AIFM manages closed-ended unleveraged assets of less than €500 million. AIFMs will need to carefully consider the application of the Directive to such funds before any marketing or management activities are undertaken in the EEA. At the time of writing, the European Securities and Markets Authority (ESMA) is assessing whether it should recommend extending the Directive’s marketing passport to Cayman Islands private equity funds. Currently, only EEA-domiciled funds have access to this marketing passport, while Cayman Islands funds are marketed pursuant to the relevant EEA Member State’s private placement regime. The private placement regimes allow Cayman Islands funds to be marketed in the vast majority of EEA Member States; however, the passport (if granted) would further enhance distribution options. In December 2016 Cayman published regulations intended to make key financial laws consistent with the Directive for the purposes of marketing Cayman funds to European investors. The new regulations are, however, not yet in force. Cayman has adopted comprehensive AEOI (Automatic Exchange of Information) regimes and reporting financial institutions have both due diligence and annual reporting obligations in Cayman. Both the OECD’s Common Reporting Standards and US FATCA have mandatory application in the jurisdiction. Notifications are made to the Cayman Islands Tax Information Authority administered by the Government’s Department for International Tax Cooperation. Cayman revised its AML regime in 2017 through the introduction of the Anti-Money Laundering Regulations, 2017 (the AML Regulations). While the fundamental AML and combating of terrorist financing obligations remain, the regime has been overhauled to ensure it remains in line with current FATF recommendations and global practice. As a result, the AML Regulations have been expanded in scope to apply to a wider range of Cayman entities. Also in 2017, the jurisdiction introduced a new requirement for a beneficial ownership register. Subject to any available exemptions, companies and LLCs are now required to complete and maintain a beneficial ownership register at their Cayman Islands registered office with a licenced corporate service provider. Finally, in December 2017 Cayman introduced the Tax Information Authority (International Tax Compliance) (Country-by-Country Reporting) Regulations, 2017. In summary, these regulations implement in the jurisdiction the model legislation published under the OECD’s Base Erosion and Profit Shifting Action 13 Report (Transfer Pricing Documentation and Country-By-Country Reporting). 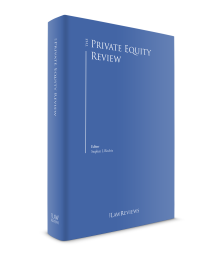 The ELP continues to be the favoured vehicle for private equity funds, and 2017 witnessed a record year for the jurisdiction with respect to the number of partnerships formed (3,872 in total representing a 15 per cent increase). This exceeds the numbers formed in any other year, including the banner years of 2007, 2008 and 2015 respectively, and augurs well for the future resurgence of private equity fund formation in the Cayman Islands. There is strong interest from the US and Europe – traditionally significant markets for Cayman – but also increasing interest from Latin America (especially Brazil) and Asia (notably China, Korea and Japan). 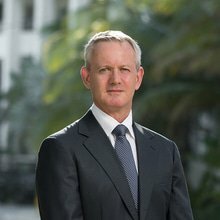 Notwithstanding the introduction of regulation of private equity managers in the US and the EU, the Cayman Islands regulatory regime is not expected to change materially, meaning that the tried and tested, flexible and cost-efficient environment for private equity structures in Cayman will continue. That said, the Cayman Islands has responded to the increased regulation of the private equity industry across the world. There has been, and will continue to be, consequential changes resulting from the US and UK FATCA and the AEOI regimes with increased reporting requirements being imposed on the Cayman Islands funds. We expect many sponsors will outsource to administrators the reporting and compliance requirements imposed on them by the increased regulation, and rely on the administrators to ensure full due diligence is conducted with respect to the investors of their funds. It is a characteristic of the Cayman funds industry, since its first inception, that the country has been able to marry robust laws with a pragmatic commercial approach to business. We expect 2018 will be a busy year for the Cayman Islands legislature and that Cayman will continue to refine its laws to ensure it maintains its preferred status among private equity sponsors around the world. 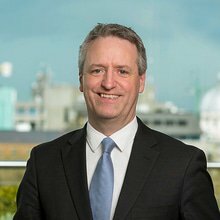 As the Cayman Islands continues to respond and adapt to regulatory changes around the world and improve the laws relating to the investment vehicles preferred by sponsors and investors alike, we expect the next few years will witness a significant growth in the jurisdiction’s share of the private equity and venture capital fund formation market. 11 Penal Code (2017 Revision), Sections 247, 248 and 257. 19 Section 38 of the ELP Law, as amended.